​Since 1985, Providence Plumbing and General Contracting has been building relationships and offering personalized service to our customers. Our team consists of Master Plumbers and Craftsmen that have extensive experience in all aspects of Plumbing and General contracting. We are equipped to handle any job regardless of the size. If you find yourself with any sort of plumbing issue or building project in your home or business, one call is all you need and we will solve the problem 100% or our job is not done. We believe that building or remodeling should be enjoyable and we pride ourselves in our prompt, courteous and helpful response to your call. Sometimes we are able to help you over the phone should you find yourself in a predicament that can’t wait for us. We are experts in whole house plumbing, sewers, new construction from the ground up, remodeling bathrooms, kitchens, finished basements, and additions. We provide quick, efficient, and cost-effective services, keeping in mind the specific needs and wants of each individual client. Above all, we respect you, your home or business, and treat all of our customers like family. 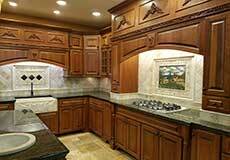 We have years of understanding the different equipment and material used in the creation of a home or business. Our team at Providence Plumbing and General Contracting fully understands the special needs and requirements that entail every contract. 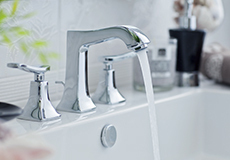 Our plumbing and construction services are offered utilizing the most recent equipment and materials available. We are available to assist you from your initial selection, or simply offer you our expert advice. We stand by you every step of the way to be sure that your project goals are met. 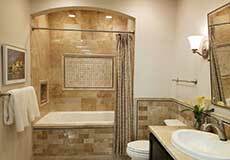 ​Providence Plumbing and General Contracting was established in 1985. The founder and owner, Michael Galasso, has been in the construction business since he was a young boy, working hands on with his father. The good old fashioned values were instilled in Michael at a young and impressionable age. He believes in doing business the old fashioned way, and answers his personal cell phone 24/7. When you call our business, nine times out of ten you will reach a live person, and most of the time it is the owner himself. Oftentimes a customer will have a problem that needs attention faster than we can get there. Michael or a member of his team will walk the caller through the situation, and possibly enabling them to remedy the problem themselves. Michael's motto is to always do the right thing and help others. He knows that conducting his business in this way builds the relationships that last a lifetime. Most of our customers know that when they call, they can rest assured that the problem is going to be taken care of immediately and they can relax and not have to stress. Our top priority has always been the satisfaction of our customers, and we do this by providing high-quality services that extend above and beyond our restricted job descriptions. We truly treat clients as family and their homes as our own homes, and these characteristics have always been the key to our success. Michael, thank you for coming to our rescue when we had the frozen pipe in our basement. We were panicked at first, but you sure made a bad situation into a pleasant one! We appreciate the weekend service call and all the advice you gave us over the phone. We will be recommending you to our friends and family. Thank you for the beautiful job you did on our kitchen remodel. We couldn't be more pleased! We tell everyone how efficient you are and how you took your shoes off when entering our home. You are so special. We liked having you around! We will sure call you for anything we need in the future. Keep up the good work! From concept to completion, Michael was a pleasure to work with during our renovation project. 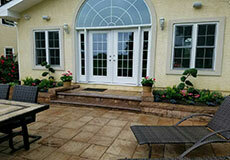 In the planning stage, he arranged multiple meetings and follow-up with our architect as well as our pool contractor. His quotes for the project prior to commencement were reasonable, comprehensive, and thoughtful. After we broke ground, he and his crews were reliable, conscientious, and thorough. Throughout the project, Michael provided detailed and appropriate supervision over site, which was challenging at times given that we lived in the house during the remodeling. Finally, Michael was prompt and conscientious in completing the punch list of final items on time. We have worked with Providence Plumbing and General Contracting on several home renovation projects and have been very pleased with the results. Michael and his team are extremely professional and dependable. From start to finish, Michael stays in close contact and follows through on multiple projects. He never quits until you’re 100% satisfied with the completed work. We recommend Providence without hesitation, they’re fantastic! Thanks for the excellent job! It was a delight to have you in charge of our over-haul. I’m sure to be giving you referrals, but I hope you’ll save time for our future needs! Michael, I wanted to take this opportunity to thank you for the exceptional job you did with my kitchen and master bathroom renovation. Not only was the job done in a timely manner, but was completed on budget. The craftsmanship is of the highest caliber and my wife and I are pleased. I would definitely recommend your services to my friends and other Army facilities. Thank you.